The effectiveness of Title III crowdfunding got the high-profile Sunday New York Times treatment this past weekend. I think it will take some time for the flow of these deals to come, as portals apply for and receive approval from the SEC and the overall infrastructure develops. The Times article has a quote from a Mintz Levin securities attorney expressing skepticism and noting that unlike venture capital investing, crowdfunding does not provide institutional validation of a company. I would agree that it doesn’t, but at the same time, it shouldn’t be considered a red flag. Because of the $1 million per year offering limit currently applicable to Title III crowdfunding, this route will only make sense if the business can execute its plans with those kind of funds. Capital-intensive ventures, like those in the life sciences industries, will likely continue to need venture funding. But for those who don’t, even if they don’t get the external validation of an institutional investment, they can get the funds they need to operate relatively easily and without the onerous terms often imposed by venture investors. The article closes with an interview with a potential crowdfunding investor who said she skimmed the offering circular but says she’s financially sophisticated enough to take the risk. (The offering circular, which is linked to in the article, is actually for a Regulation A+ offering, not Title III crowdfunding.) 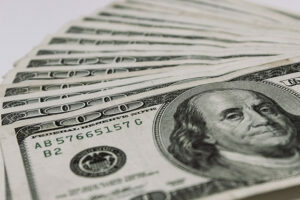 Much of the commentary about risks for fraud in recent years has focused on Title III crowdfunding, rather than other JOBS Act initiatives, like Regulation A+, but ironically it’s only Title III crowdfunding that has the strict investment limits imposed on investors with low net worth or income, which protect them from being wiped out. The investor profiled in the Times may well lose a lot of money on her Regulation A+ investment (as she could, as well, by investing in a public company), but she’d automatically limit her risk exposure by sticking to Title III crowdfunding offerings only, because of these limits.